If you are Responsible Parents then you are to worry about the safety of your baby all the time. This applies not only to feeding, walking, and care, but sleeping as well. Certainly, you probably have already heard a lot of recommendations for safe sleeping and are aware of the most important of them that means always put the baby sleeping on her back in her crib and not let her sleep on the stomach. At first glance, it is very easy to comply with this recommendation. However, the reality is somewhat more complicated. There is a theory according to which newborns that prefer sleeping on the belly face a real danger. Among the infant threats, Sudden Infant Death Syndrome remains one of the most serious. According to some researchers, the danger lies in wait for children from birth to 12 months, and sleeping on the back can significantly reduce the risk of SIDS. At the same time, millions of newborns prefer to sleep on their stomachs. Even if parents are vigilant and monitor their position all the time, the babies are always more persistent in their desire to sleep on their stomach. 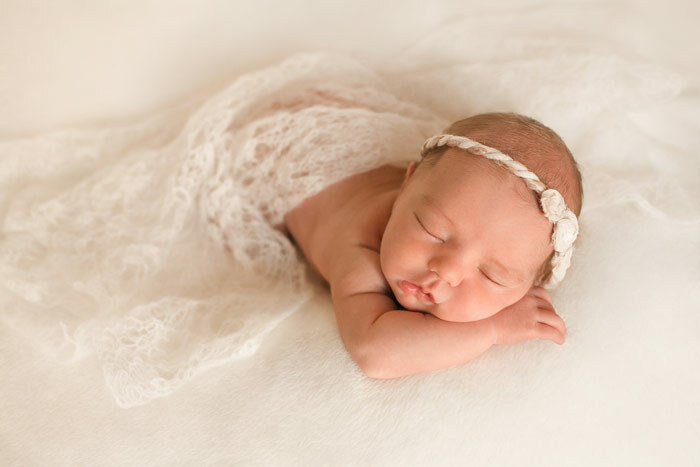 Let’s try to figure out why can’t babies sleep on their stomach and whether to insist on the position right from the medical point of view – or you can give your baby the right to choose. We would like to warn you at once that all the information provided here is not a strong recommendation. Be sure to consult your pediatrician or your healthcare provider for detailed explanations on all sleepy recommendations that you are interested in. Why is SIDS associated with the tummy sleeping? While sleeping on the stomach, baby can inhale carbon dioxide, which she has just exhaled. This can lead to an overabundance of carbon dioxide and oxygen starvation. The infant can bury his face in the pillow or blanket, block the access of air, and suffocate. The tummy sleeping can cause uneven heat distribution throughout the body and overheating which is often referred to as one of the causes of SIDS. Children sleeping on their belly are less reactive to noise. They may have a sudden decrease in blood pressure and heart rate control. Their sleep is very deep and sedentary. As studies show, all this can also become an extremely alarming premise and makes you seriously fear a deadly syndrome. Another argument in favor of this hypothesis is rare cases of children dying of SIDS in the countries where they are got used to sleep on their back. It was after the discovery of this phenomenon that the well-known 1994 Back to Sleep Campaign began and within the campaign, the recommendation of back-sleeping turned into an urgent requirement. Is it OK for baby to sleep on tummy? And yet, whatever surprising it may be, infants are absolutely not interested in any scientific theories. 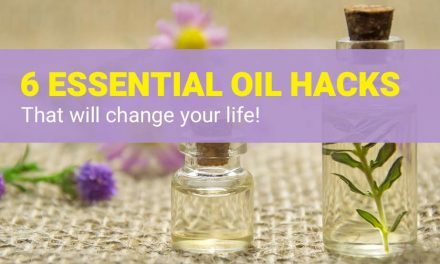 For decades, they roll over from back to stomach and fall asleep on the stomach as well. Why? Yes, just because they are more comfortable that way! A lot of mothers note that their babies prefer the stomach sleeping position when they have problems with the intestines. On the belly, they have easier gases, the pain goes away, and they fall asleep faster and more comfortable. Another serious argument that calls into question the immutability of the recommendation for the back sleeping is a marked increase in plagiocephaly among newborns in America. Plagiocephaly is a deformation of the skull that causes the head to look asymmetrical or flattened. It is noteworthy that during the decade of Back to Sleep Campaign, the SIDS mortality rate fell by half to 0.57 deaths per 1000 newborns. At the same time, the number of babies sleeping on their stomach also fell to 11.3% compared to 70% in 1992. However, the number of cases of plagiocephaly has increased at the same progression. The New York Times quotes Dr. Jeffrey H. Wisoff, an associate professor of neurosurgery and pediatrics at New York University Medical Center. As he says, the infant plagiocephaly has acquired the character of an epidemic, and now they are watching “a dozen kids with asymmetric heads a week”. To prevent such an unpleasant deviation Dr. Wisoff offers to turn babies 180 degrees in the crib and put them on the stomach while they are awake. By the way, you’ve probably heard about the latest recommendation as a number of parents used to call it tummy time. 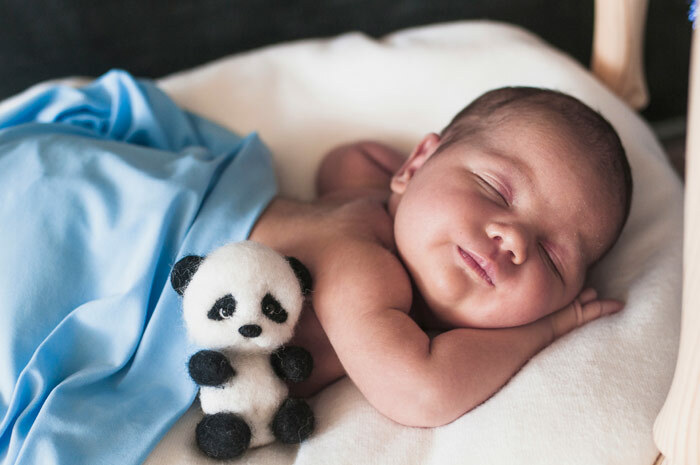 So, the risk of SIDS on the one hand (which is considered to be rather tiny), and a strong restful sleep, less digestive problems, and less concern about the shape of the head on the other – that is the choice that parents of newborn babies have to face. As doctors say, each family is to make its own decision. However, they consider it their own duty to warn all the moms and dads about that. Another argument in favor of babies sleeping on their stomach concerns regurgitation. If your baby often hiccups or vomits, this position may be more convenient for her. Even despite the fact that doctors say that the sleeping position does not affect the position of the trachea and esophagus and the child is unlikely to choke, it is better to give up the risk. In addition, the belly sleeping position will allow your baby to get rid of the gases safely and to avoid possible regurgitation. And still, is it possible to let my baby sleep on her stomach? As a number of mothers insist, babies love to sleep on their stomachs. Most of them offer to trust their mother’s intuition and allow the infant to sleep as it is convenient for him. Noteworthy, that some doctors support this point of view – even 2 or 4-month-old baby sleeping on the tummy is quite ok for them. According to the pediatricians, a baby begins to roll over on her stomach when her muscles are strong enough for this. This usually occurs between 1 and 3 months. And if an infant has got enough strength to roll over he is able to control his own breathing and change the head position if he feels that something prevents him from breathing. From this point of view, sleeping on the stomach is considered to be really safe for the baby. What if my baby sleeps on her stomach on my chest? Here, both mothers and doctors are unanimous: it is very useful for both establishing tactile contact between you and the baby and for her health. Being on your chest the infant feels your warmth, protection, smell and falls asleep safely. Don’t forget that skin-to-skin contact is just what you need for the psychological and physical development of your child. The only thing pediatricians warn against is your falling asleep with the baby on the tummy lying on your chest. This is very dangerous and can lead to unpredictable consequences. That is why do not put the baby on your chest if you are sleepy. However, if you are cheerful and plan to put the little one to sleep quickly or enjoy being with him, this option is quite okay. 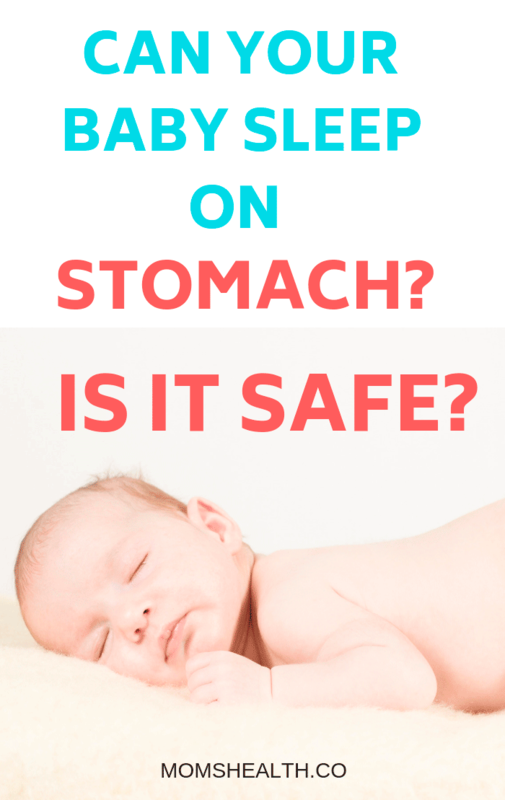 Is it OK if baby rolls onto stomach when sleeping? As mentioned above, if the baby is sleeping on her stomach after rolling over, then she has got both muscle control and neurological maturity quite developed for this. The ability to roll over is another step to the active and full development of kids. If the infant does it regularly and according to the age, it means that he is healthy and grows up correctly. So we may suppose that your baby will have enough sensitivity to change her position in case of inconvenience or obstacles to breathing. To sum it all up, it will be better to put the infant to sleep on his back. But if he rolled over on his stomach, you can leave him in this position – especially if he sleeps well. However, as being responsible parents, you still need to eliminate all the SIDS risks and prerequisites and create optimal conditions for safe sleep, which include the following recommendations. Put your baby on a flat firm surface. At the same time, do not forget to use tight-fitting sheets so that the infant does not get lost in the folds that can interfere with her breathing. Remove all the obstructions from the bed. Keep sure there aren’t any toys, pillows, warm thick blankets. This is necessary to avoid the risk of suffocation. Provide cool and clean air in the room. Use fans, ionizers, and humidifiers. According to some reports, this reduces the risk of SIDS by 72%. Dress your baby to keep her cool. As you already know, overheating is a serious factor for SIDS development. Put light thin clothes on your baby and do not wrap her in a blanket. If you are afraid to catch a cold try a special sleep sack. Such wearable blankets are made of light natural materials and their design leaves the face open while the infant remains comfortable. Sleep in the same room. The ability to control the sleep of your child will bring comfort to both you and your baby. However, some pediatricians offer to adhere to the “share your room but not your bed” principle, which involves the rejection of sleeping together. However, many parents still prefer co-sleeping and if they make an informed decision and take all precautions, there is nothing wrong with that. Pediatricians also do not see any obstacles to the use of pacifiers, breastfeeding or vaccinations. When you take all the measures described above, you can be calm for the sleep of your baby on her belly. Is it OK for 6-months-old to sleep on the stomach? When a 6-months-old baby sleeps on the tummy most of the pediatricians don’t see anything alarming in that. Within this very period, infants are developing in the most active way. They learn to crawl, sit, roll over and change their sleeping position more freely. Starting from the age of 6 months the theoretical risk of SIDS begins to decrease as the muscular and nervous systems of the child are significantly strengthened. 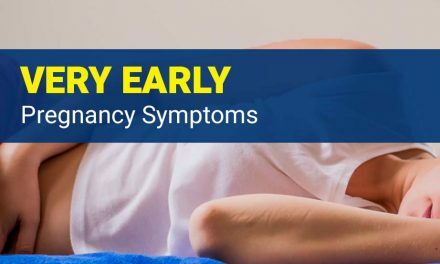 You can not worry if your baby is sleeping on the tummy at 7 months or less and is very persistent in her desire to sleep as she likes. However, just in case, you should consult your healthcare provider to make sure that your baby is really safe. Why should babies not sleep on their stomach? As it was mentioned earlier, the risk of SIDS is considered to be rather low. However, there are many reasons to be safe and take care of its reduction to the most possible minimum. The fact is that doctors still cannot find out the true causes or the mechanism of the syndrome. The most likely assumption relates SIDS to the occurrence of certain genetic problems with the nervous system and brain concerning the mechanisms of thermoregulation, blood pressure, and heart rate control. 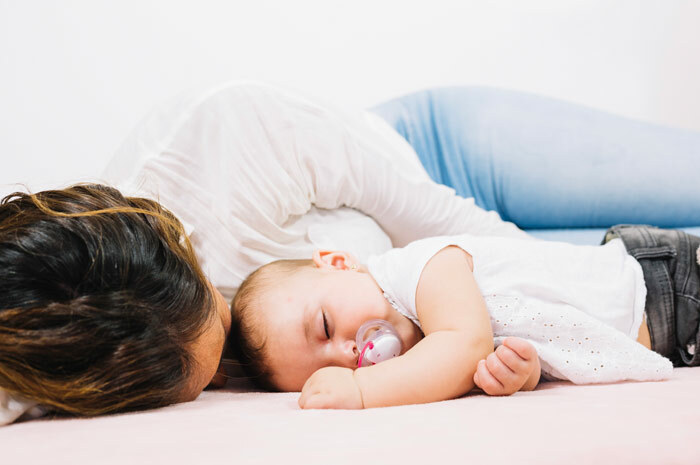 According to WebMD, it is almost impossible to define such problems within the prenatal period and just after birth, but there are a number of factors that may determine your perseverance in training your baby to sleep on her back. You or somebody of your relatives suffered from genetic diseases (especially there were cases of SIDS in your family). You have a chronic disease that appeared or became more intense during the pregnancy. You have not undergone sufficient medical control during the pregnancy. The baby was born prematurely or with low weight. You have smoked, consumed alcohol or drugs before the pregnancy or throughout the prenatal period. The newborn screening has already shown the presence of health problems for your baby. That is why NICU babies sleep on the stomach is strictly observed. Even if one of these items applies to you, it is possible that your baby is at risk. Try to do your best to train your baby to sleep on her back – as you know, forewarned is forearmed. What shall I do if I want to teach my baby to sleep on her back? Since sleep on the back is recognized by pediatricians as a very useful habit, it is worth developing for your baby. If you find enough time and effort to do this, it will reduce the risk of SIDS for her (perhaps she had the lowest one initially, but who knows). There are various ways to help your infant to get used to sleeping on his back. The first way to train your baby is to keep putting her on her back every time she rolls over. Those who prefer this option offer not to pay attention to the crying, the fuss, and the anxiety of the infant and bend the line. According to some pediatricians, it helps to develop a strong habit. If this method seems too cruel, try to swaddle the baby before bedtime. The newborns deny sleeping on the back as this seems uncomfortable to them and they can’t curl up in the fetal position which is still familiar to them. The swaddling may recreate the feeling of warmth and coziness that the baby experienced in the womb, and it will help her feel comfortable even sleeping on her back. However, be sure that you clearly follow all the recommendations for proper and safe swaddling. If your baby is persistent enough in her desire to sleep on her stomach and you feel that you cannot cope, contact your healthcare provider. He will give you useful recommendations, assess the health of your baby and tell you what you should do next – keep on trying to train your infant to sleep on his back for his safety or to give him the right to choose. Nobody else but your healthcare provider can assess the safety of your baby’s sleeping on the stomach, and no one else’s advice and recommendations will be as true and well-founded as your specialist’s are! So you should always find the time to consult him. If your lying-in was all right, your baby is full-term and healthy, and your healthcare provider is constantly in touch with you, you can put your kid to sleep on his stomach if he denies any other position. You should always remember that the life and health of your baby is only your and no one else’s responsibility, and therefore they should be a priority for you. And now we wish good dreams to you and your baby – good and healthy! 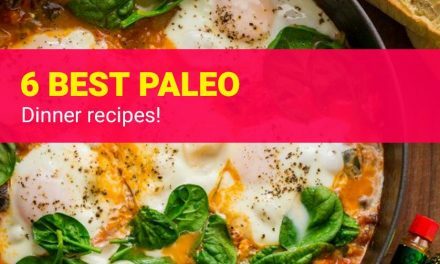 Did you find this post useful? Save THIS PIN below to your BABY board on Pinterest and check again at any time later! 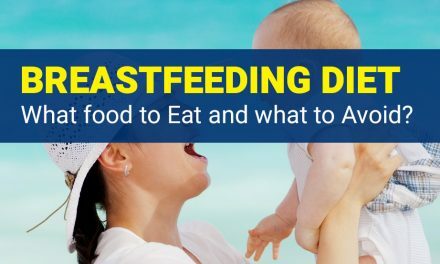 Breastfeeding Diet 101 – What food to Eat and what to Avoid?